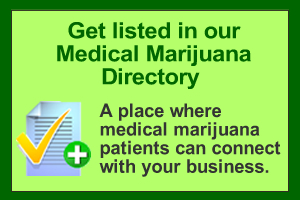 Mike Aberle is the national director, medical marijuana specialty division for Statewide Insurance Services, a Sacramento, CA company that insures dispensaries and other services in the medical marijuana industry. The Marijuana Business Reporter’s Ron Shinkman recently talked with Aberle about where the medical marijuana business is headed. MARIJUANA BUSINESS REPORTER: How many policyholders do you have? ABERLE: We have about 1,000 now. They’re throughout the United States, although the bulk of our business is in western states. We have a mix of everything; not only dispensaries, but physicians, lawyers, glass-blower for pipes, growers, even chocolate manufacturers for edibles. MBR: How long have you been providing such coverage? ABERLE: For about a year-and-a-half. MBR: Which carriers are underwriting these policies? ABERLE: We don’t disclose that. But they’re well-known names in the industry, people who have been around the block. Q: What is typical coverage, and the range of premiums you charge? A: We offer liability coverage of up to $1 million. Premiums start at about $650 a year, and go up to $150,000 a year. That’s for a building contractor that specializes in construction work for dispensaries. It’s primarily for their workers’ compensation insurance. MBR: Would you say that’s in line for other lines of business seeking insurance? ABERLE: It’s a little more expensive than for a standard retailer, but not much. For grower’s coverage, it’s actually less than what we would charge a vineyard. We already cover (for growers) the cologne state, the vegetative state, the flowering state, the harvested state, and the finished product. We’re also going to start providing seed coverage soon. MBR: What’s been the attitude of dispensary owners and growers toward obtaining insurance? ABERLE: They’ve been quite grateful, in that we can help them elevate their industry. They have to meet building, plumbing and electrical codes. Their security has to be elevated in order to get insurance. They want to be able to meet these guidelines. We elevate the way they do business in terms of safety. MBR: Have you had a lot of coverage declines? ABERLE: Not really. If we have, it’s been for the typical reasons, not meeting underwriting guidelines, or submitting conflicting information to carriers. MBR: What don’t you cover? ABERLE: We don’t provide coverage for arrests and seizures by law enforcement. MBR: What may you cover in the future? ABERLE: It’s hard to say. This is a whole new industry, and I’ve never seen (an insurance) program change this constantly. The carriers are always adding, changing and shaping questions. It’s literally forming every day. MBR: What’s your claims data been like? ABERLE: You hear all sorts of horror stories in the insurance business, but so far we’ve had zero losses and claims from this division. ABERLE: Yes, but our underwriting guidelines are pretty stiff.